Both fixed deposit and recurring deposit are a type of deposit. The word deposit means to save which is a part of the whole and keep it aside for the future. So the word deposit is common to all. Fixed deposit is also known as FD and it is a kind of deposit in which the term is fixed for a particular money which is deposited in the bank or any financial institution. Fixed deposit carries a fixed rate of interest which depends upon the amount invested in an account. When the account expires on the due date the account holder will get the whole amount along with the interest which occurs on the principal amount. So in fixed deposit, the account holder just once deposit an amount and then it remains for a long time until the term ends. In fixed deposit, an account holder cannot withdraw an amount before the term ends. 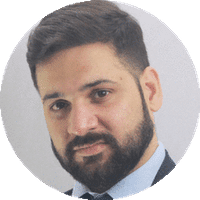 In case of emergency if an account holder withdraws an amount he has to close an account and he is liable to get an interest for the full term which occurred or going to occur. In fixed deposit, if an account holder wants to add an amount after some time he is not allowed to do it. A recurring deposit is also known as RD and name itself describes the meaning of recurring deposit. So recurring deposit means a deposit which occurs at regular intervals. 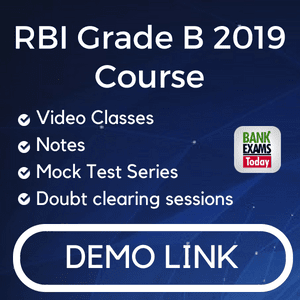 In recurring deposit, a depositor is allowed to deposit a sum of money at regular intervals in a bank or financial institutions on a particular time. In recurring deposit the interest is calculated on a compound interest. In recurring deposit, the entire amount is repaid along with an interest at the expiry of the term. In recurring deposit, a deposit holder cannot withdraw the amount in a middle and if he wants he has to close an account. Fixed Deposit or FD is a scheme, in which the deposit holder invests money for a long time in a lump sum amount. 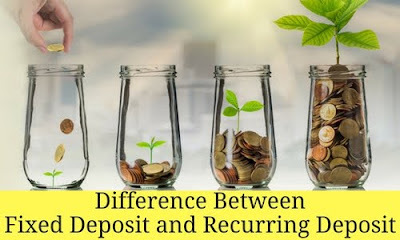 Recurring Deposit or RD is a type of bank account in which the deposit holder has to deposit a fixed sum of money in short intervals for a long time. In fixed deposit, the investment is one-time single lump sum amount. In recurring deposit, the investment is in parts or instalments at a particular time. In fixed deposit, the return on investment is high because the money invested is in a lump sum and the whole amount invested in one time only. In recurring deposit, the return on investment is comparatively low as compared to the fixed deposit.